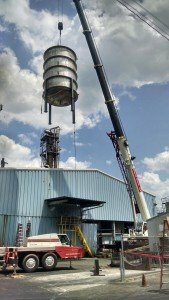 There is no industrial rigging or transport challenge too big – or too small, for that matter – that MMI Tank and Industrial Services can’t handle. Thanks to our highly-trained personnel – some of whom have decades of experience – and the latest high-tech equipment, we can plan and execute with efficiency and precision any machinery you need to have dismantled and moved. We specialize in equipment fabrication and material transport services; even oversized projects that require special permit hauling. We’re known for our particularly effective rigging services that include take-down and relocation. We welcome the challenge of handling heavy and cumbersome materials not easily maneuvered by conventional industrial rigging techniques. 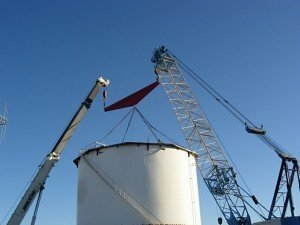 Our services run the gamut from installing small individual precision machines to very large and heavy projects that require either a single crane or multiple cranes. We provide welding, cutting and installation to finish off and complete the job to your satisfaction. The bottom line is: we do our job so you can do yours.